Thai Ridgeback is an energetic dog and requires the owner to invest time and money. This breed really needs physical activities on daily basis. 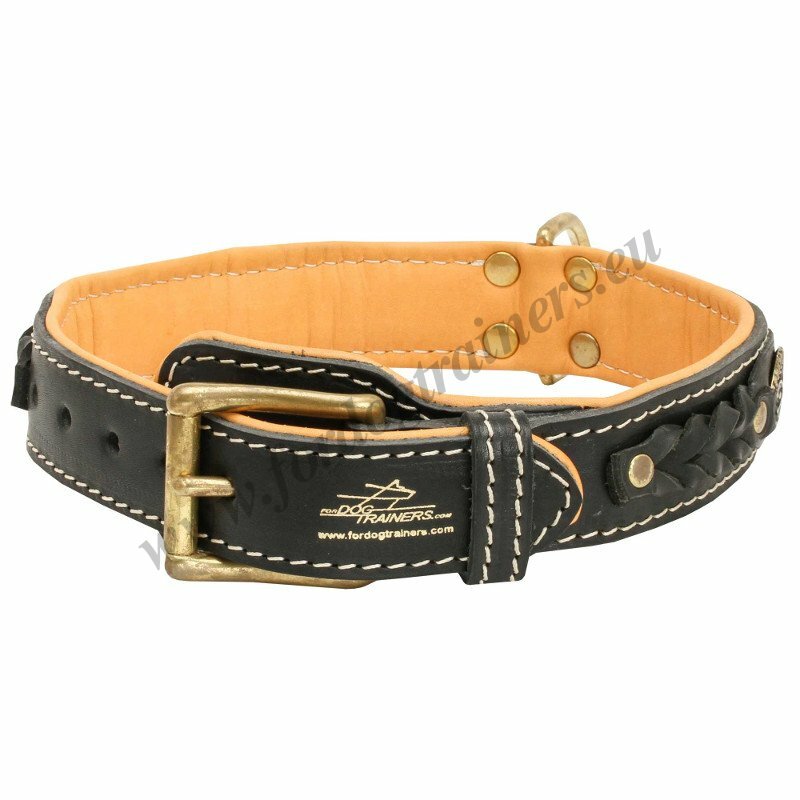 To walk your Thai with comfort, get a reliable quality dog collar of luxurious design with fancy decorations and soft padding. Truly royal collar for royal dog breed! The collar, made of genuine leather, is always in trend and keeps its quality for long years of daily wear. The dog collar you can see here is decorated with braids and gold-like oval decorations. The product is hand-stitched and, as you can see, each smallest detail adds to its beauty and uniqueness! A nappa padding is not just a touch of beauty, but also a reliable protection against rubbing and hurting the Thai's skin. It is desirable to take Thai Ridgeback to the park, the forest, out of the city, at least once a week, where the dog will be able to get plenty of running and feel very happy. To keep your doggy under control, you may use solid brass hardware of the represented leather dog collar to buckle it and fasten a leash. 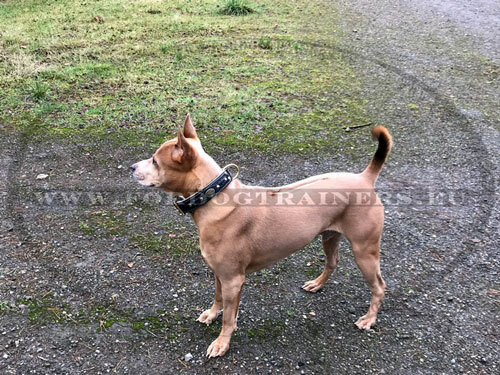 With the Thai Ridgeback, you can do agility, coursing, frisbee, freestyle. Daily physical exertion is necessary, both for the health of the Thai Ridgeback and to save him from boredom. 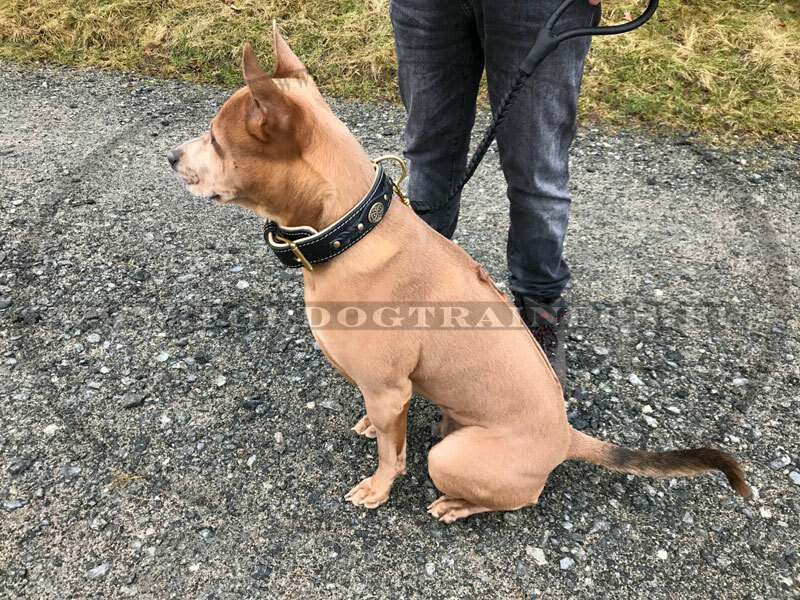 To practice all these activities with Thai Ridgeback, you may find plenty of corresponding dog collars and dog toys in our online dog boutique! 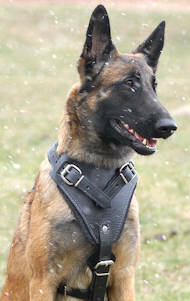 See other FDT Artisan Dog Collars, handcrafted dog leads, decorated walking and training leather dog collars and other outstanding products for your dog in our on-line pet store!